I’ve heard that Pronto Cafe also makes a porchetta sandwich similar to the one at Meat and Bread. Pronto is a small Italian cafe with limited seating but they have a nice outdoor patio at the back of the restaurant. They serve pasta, sandwiches and paninis . 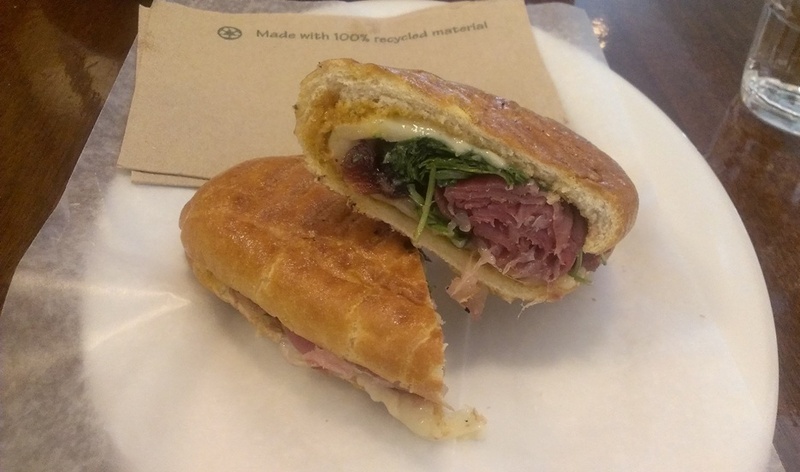 So on my lunch visit to Pronto, I ended up not ordering the porchetta since I wasn’t thaaat hungry and the Proscuitto Panini also sounded appetizing so I settled for that instead. 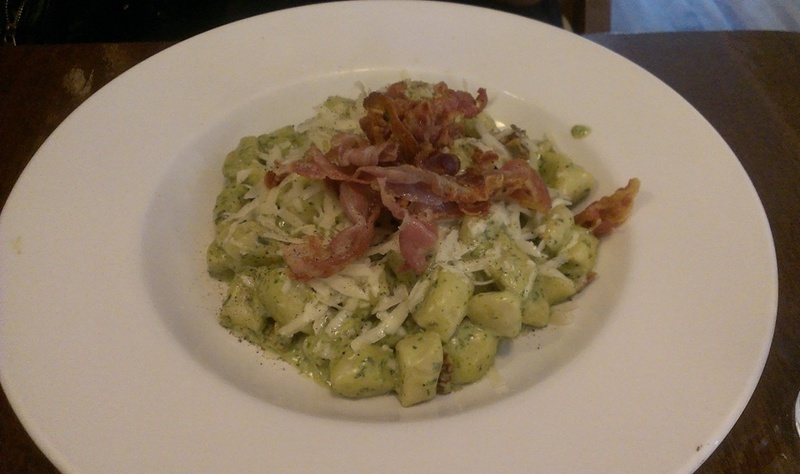 My friend had the Gnocchi with Pesto and Pancetta. The gnocchi had a nice chewy texture that contrasted with the crisp pancetta. The creamy pesto sauce with the cheese brought everything together. They also have daily specials written on a chalkboard. While the food was not bad, I’m not in a hurry to return anytime soon. Maaaaybe for the porchetta? This entry was posted in Food Reviews, Italian and tagged gnocchi, pasta, proscuitto, sandwiches.